For many California businesses, lawsuits are an unfortunate fact of life, especially in today’s challenging economy. Disputes can cripple the day-to-day operations of a business and negatively impact profits. 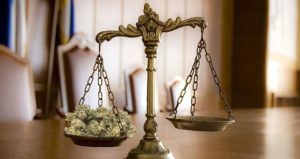 The attorneys at Rallo Law Firm, have experience litigating all types of business and commercial law disputes, from simple to complex. Our goal is to skillfully handle your litigation and resolve disputes with minimal disruption to your business. We strive to skillfully promote the specific and best interests of each business we represent – whether through trial or out-of-court settlement. As business owners, we understand the risks and business considerations inherent in litigation. We never lose sight that each business has its own separate and individualized needs. Litigating a business dispute is usually time consuming and costly, and often comes at the expense of losing resources, customers, suppliers, and profits. It is often essential for a business to resolve disputes quickly so that operations can continue without much interruption. For our business clientele, we emphasize efficient cost-effective resolution that is designed to protect the economic interest of your business; in other words, negotiation from the strongest position possible. However, when a dispute cannot be settled out-of-court, our litigation team is always prepared to fight and present the best case possible. Legal disputes are costly, time consuming and put a strain on business operations and resources. If you are a business owner facing a dispute that is heading for court, you need experienced and skillful litigators representing your interests. At Rallo Law Firm, our seasoned litigation team will fight to protect your business and achieve the most favorable results possible. While we are always prepared to go to trial, we also understand the benefit to your business of negotiated settlement from a position of strength. If you require sophisticated legal services to ensure proper business formation, transfer, sale, merger or otherwise, the team of experienced business litigation attorneys at Rallo Law Firm are here to help.